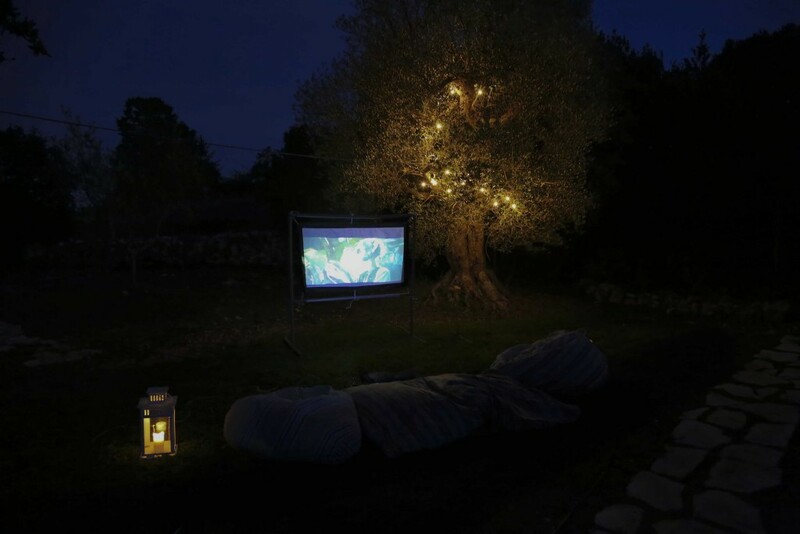 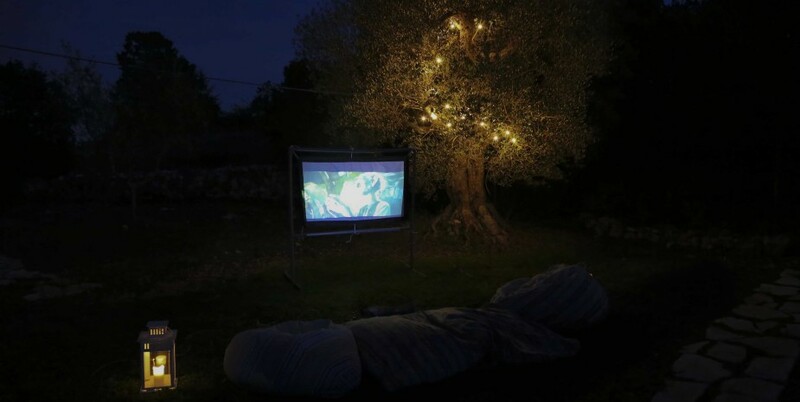 We offer you a intimate experience of an outdoor cinema in Italy. 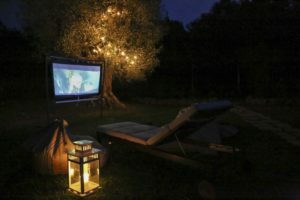 In a fresh summer evening with the sound of crickets in background, there is nothing better then memorable under-the-stars movie experience. You will choose between more then 100 movies of our list and watch from your comfrotable deckchairs your favorite film along with an apertif and drinks, in truly suggestive atmosphere. 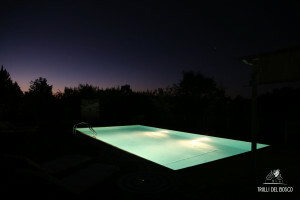 Furthmore, it will be included the exclusive opening of the swimming pool at night.